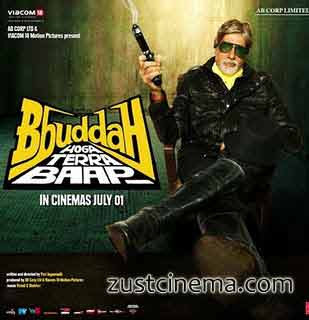 Bbuddah...the baap will be back!.. Bbuddah will be back !.Yeah guys it is true and also good news to Amitabh Bachchan fans as the director of the film Puri Jagannadh is keen to make Bbuddah a franchise.After seeing Amitabh Bachchan as Bbuddah both the actor and directorhad got the rushed compliments after release of the movie. Earlier Big B not accpeted to make Bbuddah-Hoga Terra Baap as a franchise as Golmaal.But after going on with Director Puri views he left for his own choice.Puri Jagannadh also confirmed this by saying that many people called him to make sure that he carries Bbuddah’s character forward. Currently Puri is busy in working on the script for making another sequel to Bbuddah-Hoga Terra Baap.As of now Amitabh Bachchan along with Sonu Sood will be leading star caset of the franchise too. So,Lets wish Amitabh to return back as Bbuddah Soon !..